Get paid to be active, meet new people, and drive your own truck! 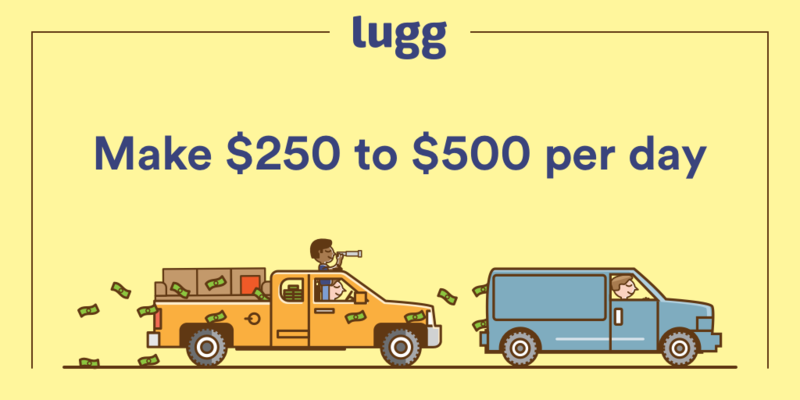 Become a driver with Lugg today! We're an on-demand startup transforming the way things get moved by connecting people who need a truck with our network of awesome Luggers! Set your own schedule, work as much or as little as you want! Be active, meet new people, and help others! A reliable and friendly attitude!